Are you unique? In your perception of the world, the answer is simple: you are different than every other person on this planet. But is our universe unique? The concept of multiple realities — or parallel universes — complicates this answer and challenges what we know about the world and ourselves. One model of potential multiple universes called the Many-Worlds Theory might sound so bizarre and unrealistic that it should be in science fiction movies and not in real life. However, there is no experiment that can irrefutably discredit its validity. The origin of the parallel universe conjecture is closely connected with introduction of the idea of quantum mechanics in the early 1900s. Quantum mechanics, a branch of physics that studies the infinitesimal world, predicts the behavior of nanoscopic objects. Physicists had difficulties fitting a mathematical model to the behavior of quantum matter because some matter exhibited signs of both particle-like and wave-like movements. For example, the photon, a tiny bundle of light, can travel vertically up and down while moving horizontally forward or backward. Such behavior starkly contrasts with that of objects visible to the naked eye; everything we see moves like either a wave or a particle. This theory of matter duality has been called the Heisenberg Uncertainty Principle (HUP), which states that the act of observation disturbs quantities like momentum and position. In relation to quantum mechanics, this observer effect can impact the form – particle or wave – of quantum objects during measurements. Future quantum theories, like Niels Bohr’s Copenhagen interpretation, use HUP to state that an observed object does not retain its dual nature and can only behave in one state. In 1954, a young student at Princeton University named Hugh Everett proposed a radical supposition that differed from the popular models of quantum mechanics. Everett did not believe that observation causes quantum matter to stop behaving in multiple forms. Instead, he argued that observation of quantum matter creates a split in the universe. In other words, the universe makes copies of itself to account for all the possibilities and these duplicates will proceed independently. Every time a photon is measured, for instance, a scientist in one universe will analyze it in wave form and the same scientist in another universe will analyze it in particle form. Each of these universes offers a unique and independent reality that coexists with other parallel universes. If Everett’s Many-Worlds Theory (MWT) is true, it holds many ramifications that completely transform our perceptions on life. Any action that has more than one possible result produces a split in the universe. Thus, there are an infinite number of parallel universes and infinite copies of each person. These copies have identical facial and body features, but do not have identical personalities (one may be aggressive and another may be passive) because each one experiences a separate outcome. The infinite number of alternate realities also suggests that nobody can achieve unique accomplishments. Every person – or some version of that person in a parallel universe – has done or will do everything. Moreover, the MWT implies that everybody is immortal. Old age will no longer be a surefire killer, as some alternate realities could be so scientifically and technologically advanced that they have developed an anti-aging medicine. If you do die in one world, another version of you in another world will survive. The most troubling implication of parallel universes is that your perception of the world is never real. Our “reality” at an exact moment in one parallel universe will be completely unlike that of another world; it is only a tiny figment of an infinite and absolute truth. You might believe you are reading this article at this instance, but there are many copies of you that are not reading. In fact, you are even the author of this article in some distant reality. Thus, do winning prizes and making decisions matter if we might lose those awards and make different choices? Is living important if we might actually be dead somewhere else? 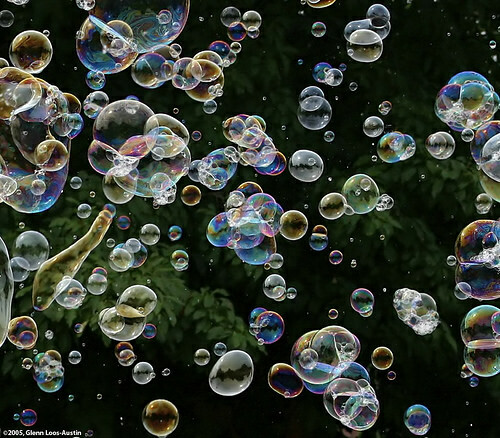 Some scientists, like Austrian mathematician Hans Moravec, have tried to debunk the possibility of parallel universes. Moravec developed a famous experiment called quantum suicide in 1987 that connects a person to a fatal weapon and a machine that determines the spin value, or angular momentum, of protons. Every 10 seconds, the spin value, or quark, of a new proton is recorded. Based on this measurement, the machine will cause the weapon to kill or spare the person with a 50 percent chance for each scenario. If the Many-World’s Theory is not true, then the experimenter’s survival probability decreases after every quark measurement until it essentially becomes zero (a fraction raised to a large exponent is a very small value). On the other hand, MWT argues that the experimenter always has a 100% chance of living in some parallel universe and he/she has encountered quantum immortality. When the quark measurement is processed, there are two possibilities: the weapon can either fire or not fire. At this moment, MWT claims that the universe splits into two different universes to account for the two endings. The weapon will discharge in one reality, but not discharge in the other. For moral reasons, scientists cannot use Moravec’s experiment to disprove or corroborate the existence of parallel worlds, as the test subjects may only be dead in that particular reality and still alive in another parallel universe. In any case, the peculiar Many-World’s Theory and its startling implications challenges everything we know about the world. Uh…. is that correct? I don’t think it is. The HUP doesn’t have anything to do (directly) with wave/particle duality, does it? Within the scope of the limits of our physics, we can only ‘see’ an object when it’s either in a wave form or a particle form. We however cannot ‘see’ an object in both or during the transition. Hence the HUP. 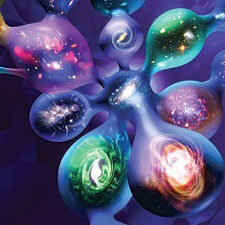 But the Many-Worlds Theory doesn’t necessarily follow but is impossible to disprove. I however don’t think the proper test has been devised yet. If a machine could be built that is guaranteed to destroy it’s quantum self if turned on. And it had a 10% chance of being turned on during a measurement, then it has a good possibility of being destroyed without ever being turned on during the first measurement. No lives need to be lost. I should’ve done a better job explaining this connection. The Heisenberg Uncertainty Principle states that we cannot know the momentum and position of an object; that is, we cannot know where the particle is and where it is going. Heisenberg developed this theory because of the wave-particle duality of matter. For example, if you know more about the wave behavior of the object, the more you know about the position but less about the momentum. Here is a link that has a better explanation: http://physics.weber.edu/carroll/honors-time/duality.htm. The explanation of HUP that made sense to me employed photography in the analogy. Taking a photograph of a moving object (such as a train or car) using a high speed camera produces a crisp image, but you cannot distinguish between the moving object and the stationary version of the same object. So you can obtain reasonably accurate information about the object’s position, but not its motion. Slow the shutter speed down considerably and take another photo of the moving object, and the result is blurred. Knowing the shutter speed, and being able to measure the estimated positions of the leading and trailing edges of the object in the blurred image, you can work out the speed of the object – but not its exact position. You can only estimate that. The HUP refers to the impossibility of measuring both properties (speed and position) precisely in a single observation. It’s deeper than that. It’s not about the measurement of properties, it’s about the properties themselves. A classical physics analogy exists. Consider a wave of a given frequency. Mathematically, that frequency is exactly defined for the ideal sinusoid function, which extends infinitely forward and backward in time. A real world wave has a beginning and an end; if you apply a Fourier integral to it, you get a range of frequencies, centered on the ‘ideal’ frequency, which gets broader as the wave duration gets shorter (this is a physical, observable phenomenon). Ultimately, an instantaneous ‘wave’ has an infinite range of frequencies. Now replace the wave with a quantum particle, which has a frequency that is proportional to its energy: you find you cannot define (or measure) with arbitrary precision both its energy and instant of emission! This is the HUP (which is not only about speed vs position, but all sorts of ‘conjugate’ pairs of physical quantities). Addendum: During MY shamanistic wanderings, I saw the multiverse looking more like a collection or snowstorm of ‘fluff balls’, each resembling a Dandelion flower? Check out a book by Leonard Shlain called “Art & Physics – Parallel Visions in Space. Time, and Light”? Wherein, the ‘visionary’ or artist often proceeds the scientific. Thank you Glenn Loos-Austin! I agree that Everett’s MWT argues that it is quantum state of the observer that “splits,” not the entire universe. However, I was just exploring the possibilities if MWT applied to not only nanoscopic matter, but also the macroscopic world. That is, what if the universe actually did split to account for every possible outcome? Since at the Plank scale, there are a ferment of particles randomly coming into and out of existence as the result of vacuum energy, then there would be an uncountable number of universes splitting off at every tic of Plank time. For me, that would be depressingly meaningless and, well, a stupid way of managing reality. Not that that logically counts it out, but it is an ugly theory in a surpassingly lovely universe. I find the idea of an uncountable number of surpassingly lovely universes beatific, myself. …and I’m atheist. This leads to a kind of paradox for me. It is actually conceivable that I could be the author of this article because I did an Astronomy degree and still retain an interest in all things cosmological, so nobody would really bat an eyelid in that Universe if I did that, nor many other things that could arise from MWT. However it doesn’t stop there. Doesn’t the MWT state that anything which isn’t actually forbidden by the laws of physics must happen in some alternative reality? Which means that apart from ‘normal’ people doing what are for us here ‘normal’ things, for example the Argentine football manager could quite possibly have phoned me at random to ask if I would help them out in the World Cup Final against Germany. Not only that, but in their reality everybody would have to think this was a completely logical and normal thing to do, even though I am 51, unfit and never played the game professionally. Is there something I am missing that would prevent such anomalies happening, even though the laws of physics allow them? There must be many other examples of things that we would see as absurd but which the locals readily accept as their reality. At a less macroscopic level of course, the ultimate conclusion is that every (or at least most) possible arrangement of every particle and energy quantum must exist in some reality, which would lead to some very strange existences for some creatures. Then I start to wonder whether there any logical absurdities here on Earth in our reality which the local population think of as completely normal, and I think of religion. Maybe in some parallel universe they would say “They think what exactly?”, in amazement. Jesuits trying to steal the moment from BICEP experiment… Multiverse is the keyword, and it is not to be confused with quantum concept of parallel universes (with different versions of you), which is a fairytale Jesuit peons are promoting. Fable by gable — Genesis. 3) multi-physically (w/o units since no one knows what they would be in another universe i.e. they have no multiversal meaning) as Newton attached units to G only in order to close his own (our universe’s) physics. Fundamental research has always been a trench fight: Church insanity (now via a replacement quantum-fable) v. sanity (based on data and equations)! For anyone wanting a glimpse of a much bigger picture…check out “Star Maker” by Olaf Stapledon. Arthur Clarke calls it “the greatest work of fiction I have ever read”. Many World Theory is much more than theory – its’ reality. Also Time Travel is very much real phenomenon, but nothing like many have imagined it to be. Revolutionary Quantum Entanglement Superposition System with Time Travel Aspect already developed and working: Life is Living Art website states: “My own personal subjective experiences around the idea of Quantum Entanglement shows wonderfully through many examples, that the scientists are never able to understand it all – unless they experience it subjectively themselves. After experiencing Quantum Entanglement themselves, they can bring the awareness and inner wisdom gained from the experience to the equation. Suddenly many missing links just seem to appear out of nowhere and wholeness becomes Crystal Clear: In Randomness there is Divine Order – Structure, which is contained within everything and no-thing at the same time. Here on this page I have demonstrated how the idea of Quantum Teleportation actually works and I have a solid proof of this system in action. Our modern day understanding of Quantum Physics and the nature of Reality has come to a point, where scientists and spiritually oriented people can finally learn to find a common ground. In the very core both are speaking of the same ideas and concepts. Most importantly they both are trying to figure out the same phenomenon of Entanglement, with slightly different names and variations of meanings. Essentially both agree that there’s underlying structure behind the visible and observable universe. What this means is, that in randomness there’s Divine Structure and Order that is contained within everything and no-thing at the same time – A Source-Field from which everything springs forth into manifested form. In modern world our understanding comes from the mind oriented thinking. Mind cannot never understand something which has been created outside of the mind. I have written about this area known as Living Awareness here on this website as well as in my upcoming book series Life is Living Art. Keeping that in mind: From the observational point of view these scientists in the field of Quantum Physics / Mechanics come way behind of my current level of understanding. It seems that the Original Creative Thinking which springs forth from outside of the limited mind structure – is years far ahead, when we compare it to the Collective Consensus Reality and approaches made thereof. The big problem with the Many Worlds Theory is the concept of “Me”. Why do “I” traverse this specific branch? What makes this branch so special? Of course, one could counter that each of the other branches also have an “I” who may or may not be asking the same question. Yet the reality that this “I” is constantly in THIS reality, the one where “I” am constantly “me”. Then, what properties does THIS reality have that differentiate it from the others to give this version of me the ability to exist? If each branch of reality is “equal” then, by symmetry, there is no preferred path for what I consider “Me” to exist, hence we have a contradiction.